George Pelacanos's forthcoming The Double, which has something in common with Massimo Carlotto's At theh End of a Dull Day, which I reviewed recently (at least more in common with that book than the second one reviewed here today). The second for today is a straight-to-Kindle book in Italian, Viola Veloce's Omicidi in Pausa Pranzo (Murders in the Lunch Break), which is a combination crime novel, workplace satire, and Bridget Jones sort of story (more later). What Pelecanos shares with Carlotto is a noir tradition as well as a reliance on revenge or vendetta as a plot structure. But while Carlotto's characters fully, even joyfully, inhabit the revenge plot and the accompanying violence, Pelecanos's main character here (whom we've seen before, Spero Lucas) is conflicted and trouble (though hardly less violent). Lucas is a private detective whose specialty is finding things. He works with a lawyer, doing research for defendants, but on his own he's a finder, in this case beginning with a stolen painting. But the painting was stolen by a con man whose specialty is attaching himself (physically and sexually) to needy women and then fleecing them on his way out. The con man is currently working with a pair of accomplices, one of them particularly ruthless (the other mostly aimless). When Spero finds their hideout, by tracing the course of the painting's appraisal (the appraiser having given the villain its owner's name and location), he uses several of his own cohorts (mostly ex-military, like himself) to locate and harass them. That sort of collaboration is typical of Pelecanos's heroes, who, though very capable in violent situations, are not superheroes. In the final confrontations in The Double, though, Spero must operate alone. Spero's military background is important: it figures into his capabilities as well as his own demons, especially in his relationships with other veterans. He has a code of conduct cobbled together from social norms and military experience, something that Carlotto's character totally lacks. The difference is reflected in the style of the books: While Pelecanos's story is mostly sober and straightforward, Carlotto's is ironic and comic (in a grim way). 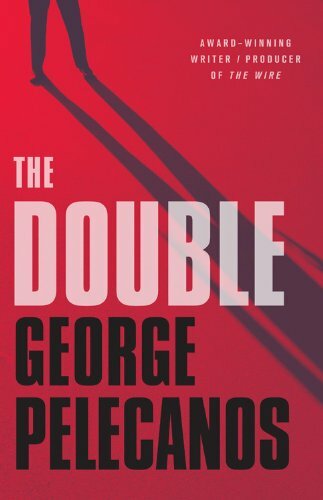 Pelecanos is the uncontested noir poet of Washington DC (where I live and work), and as usual, the city is an important character in the book: not the Washington of politicians but of the streets, where we lesser mortals scramble to survive. Omicidi in Pausa Pranzo surprised me by being quite well written and entertaining (plus the Italian is straightforward and fairly easy to read for a beginning student of the language, like me). The first person narrator, Francesca Zanardelli, is an office worker in Milan, recently abandoned by her fiance on the eve of the wedding, who happens upon the corpse of a coworker in the ladies' bathroom at lunch one day. The murdered coworker shared office space with Francesca, and the incident sets off a complicated story of serial murder linked intimately with office politics and Francesca's personal life. She openly invokes Bridget Jones's Diary as a model, and her private life is a comic series of events inlcuding speed dating, parental relationships, and life on her own. The office politics are particularly Italian, especially in a key fact, that it's not easy to fire office staff for something as simple as incompetence. The relations with her coworkers and the union are frequently quite funny, as is the language she and her cohorts use to describe their bosses and each other. The first-person narrator mostly works very well, since Francesca is good company, if occasionally a bit whiny (a la Bridget), but at the cost of draining most of the potential suspense out of the final confrontation with the murderer (since Francesca can't know a lot of what's going on beyond her immediate viewpoint). But ultimately, the satire is more important than the unveiling of the perpetrator. The story is a bit lighter than my usual fare, but quite enjoyable, certainly up to the quality of a lot of books published in the traditional way. Highly recommended for anyone learning Italian, it's fun as well as good practice. Hi Glenn, It was very nice and very surprizing to find your words about my little book. I wrote it in order not to really kill my collegues, whic is a good reason to write a book. I'm not Alessandro Manzoni - I know it - but I could have become a serial killer. Wiriting saved me from prison. I'm still a free woman, which is enough for me. And yes, Italian trade unions can be worse than Italian parties. Hard but true. How many language do you read and speach? Thanks for your comment, I enjoyed the book (and not murdering someone is an excellent reason for writing a book, I think). Do you have any other novels in mind? I'm, studying Italian right now, which is the reason I'm looking for entertaining Italian novels (and I read a lot of "gialli," so that's a natural choice). Mostly I read them in English, though. Well, I write every time a different kind of book, and many of them are especially thoughts for women. So, I don't think there's other stuff for you (coming out from my pen). But you have great writers in America. We're in a period of decadence, in Italy, and even our literature is not florishing. Mr Berlusconi is the owner of Mondadori and he has published all the auto-biographies of leftwing people in Italy. And if you come to Italy, I'll be glad to speak to you. There's my email somewere in the ebook. Let me Know if you came around my lost country.